Our civil justice system — and the faithful adherence to the rule of law — are bedrocks of our society. But those courts and judges in what we identify as “Judicial Hellholes” undermine these foundations of our great country because, in our view, equal justice under law is not available to civil defendants in those jurisdictions. Recent developments in Minnesota are sufficiently troubling that we are adding the Twin Cities to our “Watch” list, which signifies that it is, regrettably, a candidate for inclusion on the list as a full-fledged hellhole at year end. Troubling decisions in Twin Cities courtrooms, activism on the part of the Minnesota attorney general and multiple vetoes of common-sense reforms by Gov. Mark Dayton have put the Twin Cities in the unenviable position of potentially joining plaintiff-friendly jurisdictions like California and Florida on the annual “Judicial Hellholes” list. There is a pervasive liability-expanding view that is spreading throughout the state and it is our hope that it will stop before it’s too late. In a recent case involving 3M, Attorney General Lori Swanson came under fire for paying $125 million in attorneys’ fees to an out-of-state law firm after hiring it to manage a lawsuit against 3M for ground water contamination. After seven years of litigation, 3M and the state agreed to a settlement in the form of an $850 million grant. Of that settlement, the state paid $125 million in contingency fees to the private attorneys, or $47,000 per day for seven years. Unfortunately, the legislature then failed to pass a bill that would have governed the state’s hiring of outside counsel and prevented payments like these in the future. Making matters worse, the state agency responsible for the safety and welfare of residents raised a central problem with the attorney general’s case. The Minnesota Department of Health concluded in reports that there was no increase in the number of health problems seen in the affected areas. Despite this conclusion, Attorney General Swanson chose to move forward with the lawsuit. This liability-expanding mindset has trickled down to the trial court level, where Hennepin County District Judge Amy Dawson showed extreme disregard for both fairness and the rule of law in her handling of a case involving BNSF Railways. Dawson imposed sanctions on BNSF for failing to produce railcars in discovery, despite the fact that BNSF did not own or operate the cars in question. She also stripped BNSF of crucial defenses available at trial and relied on inaccurate data from the U.S. Department of Transportation even after corrected data was made available. The case is on appeal and it is our hope that abuses of this nature will not be allowed to stand. Decisions like these clearly demonstrate why defendants believe they face an unfair and uphill battle in Twin Cities’ courtrooms. The attorney general and judges appear to be following Dayton’s lead. Dayton rejected balanced reform legislation and vetoed several bills at the end of 2017, thereby preserving the status quo in favor of the personal injury bar — a generous supporter of his campaigns. Included among those bills was a trespass liability reform proposal that has been enacted in 24 states since 2011. Dayton is the only governor of either party to have vetoed such legislation. 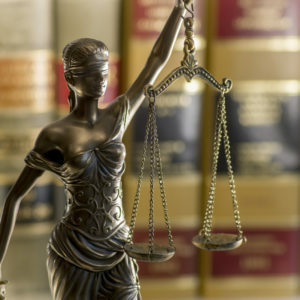 The Minnesota Supreme Court has an opportunity to help level the playing field and restore some balance later this year, as it is poised to rule on whether or not to adopt the Daubert standard under court rules for admitting expert evidence testimony. This decision will serve as a true litmus test for the court. Adoption of this evidentiary standard will help ensure that junk science is kept out of the courtrooms, and that all expert evidence is based on reliable principles and methods. We will be watching closely as the Supreme Court addresses this important issue. It is imperative that Minnesota’s leaders work to inject fairness and stability back into the state’s civil justice system and not continue to protect the interests of the personal injury bar. If they choose to ignore the growing problems, the Twin Cities will find themselves in unwanted company on our “Judicial Hellholes” list in December. Tiger Joyce is the president of the American Tort Reform Association. Bob Johnson is the board chairman of the Minnesotans for Lawsuit Reform.